Steve Gerber’s Defenders run comes to its revolutionary conclusion in the latest Marvel Masterworks extravaganza! Gerber consistently broke the boundaries of what a super-hero comic could be, and his Headmen saga stands as one of the high points in a celebrated career. From the Elf With a Gun to Bambi and the Bozos, Gerber wove together an unlikely cast with a challenging critique of the era’s culture. His stories would influence a generation of new writers - and with artwork by the stellar team of Sal Buscema and Klaus Janson, Defenders is an indisputable ’70s Marvel masterpiece. And we’ve topped it off with the classic Defenders/Howard the Duck MARVEL TREASURY EDITION team-up. Need we say more? Reserve your copy today! 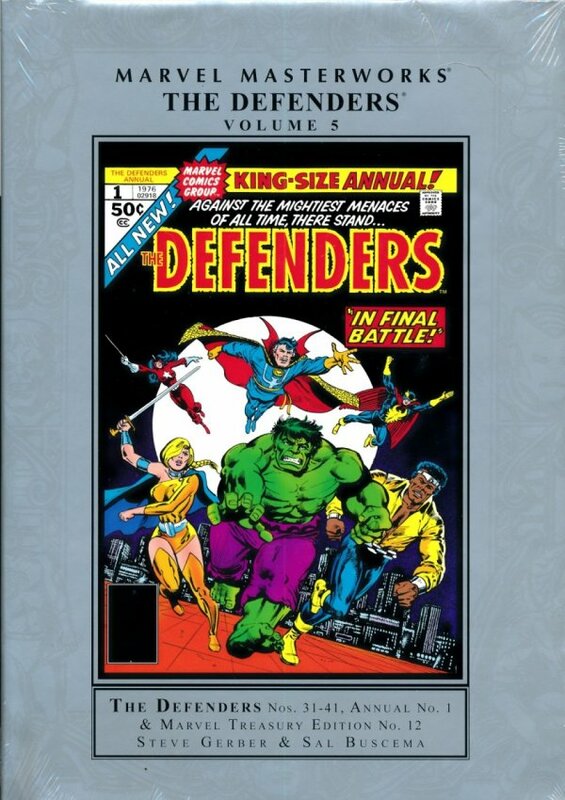 Collecting DEFENDERS (1972) #31-41 and ANNUAL #1, and MARVEL TREASURY EDITION #12.